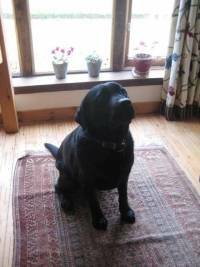 Our black Labrador, Ziggy is 7 years old and has been staying with Paul and Lisa at Pet Relief since she was a puppy. Ziggy loves company, so we find the situation at Pet Relief ideal, with both humans and doggy friends for company. It is also good to know that the dogs are all comfortable in the house at night, especially during the colder months. She has stayed there from as short a period as a day to three weeks and is always so excited when she arrives. We have found Lisa and Paul extremely reliable. It is always easy to contact them and if they are not available your call is returned promptly. Ziggy has always returned from her stays at Pet Relief a happy, cared for dog without any incidents Knowing that Lisa is a trained veterinary nurse gives reassurance should your pet become sick. I would recommend Pet Relief to anyone who has a sociable dog.